“13 Therefore take up the whole armor of God, that you may be able to withstand in THE EVIL DAY, and having done all, to stand. 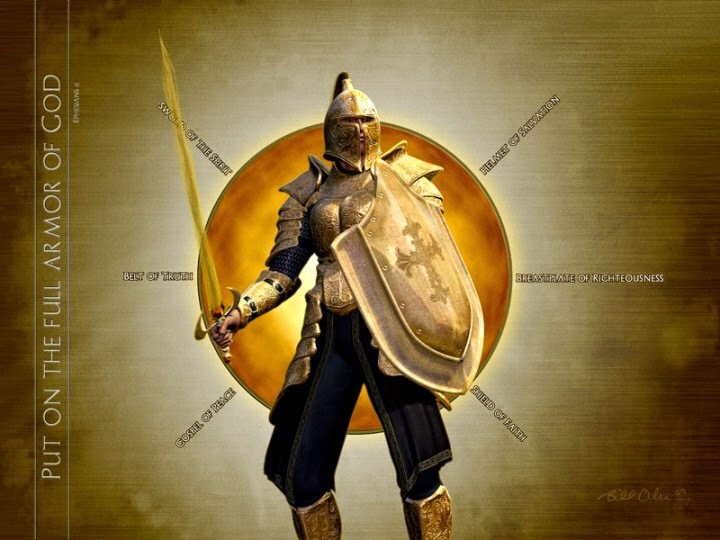 As Christians, you and I have been supplied with all the equipment we need to fight the good fight to remain in faith! Unlike Star Wars, we are THE EMPIRE OF THE SON! You see? The batlefield is in your mind. What is “The truth?” Jesus said, “You will know the truth and the truth will set you free.” Is it the word of God? Yes, in that Jesus is THE WORD MADE FLESH. But let’s get even more specific. It’s Jesus! JESUS IS THE TRUTH. “THE” is a definite article. It indicates THERE IS ONLY ONE…..and it’s Him! Tell me: What, or more to the point, “WHO” sets you free? JESUS. If He sets you free, then YOU ARE FREE INDEED! Buckle that around your waist! Without that freedom, everything else falls down. This “belt” holds it all together . #2) The Breastplate Of Righteousness. Once you know that you KNOW you are saved and that you ARE, without a doubt, “THE Righteousness of God in Christ,” that knowledge guards your heart as surely as impenetrable body armor. Why, it’s better than kevlar! There’s that DEFINTIE ARTICLE again! But you have to “Let not,” for yourself. Jesus cannot “Let not” for you. So, when are you most likely to let your guard down? In the midst of a trial or trouble. The more you remind yourself in the midst of that trial or trouble that you are beloved of God, that He is your Shepherd, the more at rest and at peace your HEART will be. You need not be afraid. And if you find that you are having a hard time doing it for yourself, where do you find others who will comfort you? IN CHURCH! That’s where those of like precious faith will come in very handy! #3) Feet Shod With The Gospel Of Truth. Why did Paul go out of his way to say, “THE gospel of truth if it is the only one?” It begs the question, if there is “THE gospel of truth,” then there must be another “gospel” that is NOT THE truth.” Is that true? Yes. He wrote to the Church of Galatia about this very subject. It’s the topic of discussion for the entire book. He speaks of how dangerous it is and what happens to anyone who preaches what we know as “mixture.” They are under a double curse. What causes you and I to walk through this life in rest and peace? Knowing the gospel, or “good news,” that we have PEACE WITH GOD; that our sins are not counted against us. The reason we can preach this good news to that those with whom we interact that ARE NOT saved, we can assure them that God is not mad at them or holding their sins against them, either! Jesus loves them! Bet they never heard that in Church, huh? THAT’S WHY IT’S GOOD NEWS! Come to think of it, bet you never heard that in Church either! Now understand, that DOES NOT mean that they are automatically saved. No way! They still need to accept that paid-in-full receipt from Jesus’ outstretched, nail-pierced hand. Of course, they can also slap it away if they choose. God is a great Respector of our free will. He won’t force salvation on anyone. But, if I were you, I would take it ’cause there is NO OTHER WAY INTO HEAVEN. #4) The Shield Of Faith. Doesn’t it sound like the “shield of faith” is made of water? When you say, “Quench the fire,” that means you’re putting it out with WATER, right? Well, water throughout the Bible is a typology of the WORD OF GOD. When the devil comes at you with his lying words, just do exactly what Jesus did when He was tempted by him in the “wilderness,” a typology of our walk through this life. He answered him every time with the word of God! Notice, the Bible says that at the Name of JESUS every knee will bow, not at the Name of God. It is the words of Christ that have the power to defeat the devil! 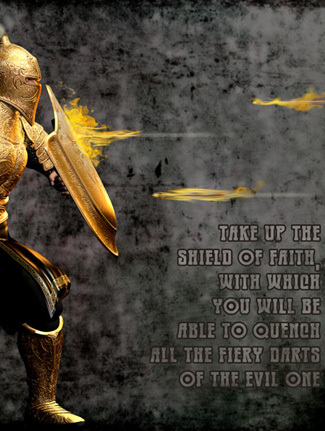 Don’t be like some and take out the shield of doubt and quench all the blessings of God. NO! Learn to exercise your faith. How do you do that? By listening to good, anointed and accurate preaching and teaching of the Word of God and confessing what He says about you or your situation. You see, when the truth is preached, FAITH RISES UP! The more of the true Word of God you hear, the more you are surrounded by God’s invisible, impregnable shield…like Star Wars! #5) The Helmet Of Salvation. Being girded with the truth, assured of your righteousness in Christ, walking in the truth of the real gospel and guarded by the shield of faith, they all work together guarding your heart and mind, forming an impenetrable HELMET OF SALVATION. With all this armor securely in place, you and I are surrounded and protected on all sides from every attack of the devil. What keeps them all securely in place? Do we have to face the devil and his tactics? No we are transformed by beholding Jesus. We turn our backs to the desert (the world) and face Him. He fights the devil! We are no match for him. When he whispers in your ear and tries to get you to turn around and get your focus off Jesus, stand still. Stay where you are. Face the One in Whom you have placed your trust and you will not be unseated! THE BATTLE IS THE LORD’S! #6) The Sword Of The Spirit. 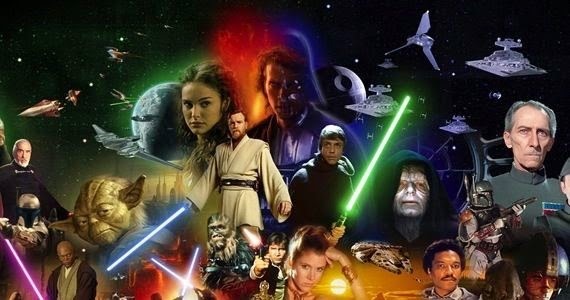 Don’t forget, we have a light saber: The Light of the spoken Word of the Living God which is sharper than ANY TWO-EDGED SWORD. So, Church, may the force of GOD be with you; the most powerful force IN THE UNIVERSE! I say it’s high time for the EMPIRE OF GOD TO STRIKE BACK! You see, we’re all kinda like Luke Sky”walker,” only we are actually more like sky “sitters,” because we are “seated” with Christ in heavenly places. Only those who are seated…because they are resting in the finished work of Jesus…are truly elders. It has nothing at all to do with your chronological age, your gender, the church office you hold, how long you’ve been a Christian or how many degrees you have. That doesn’t mean you’re not saved, of course. But you’re in that very windy, shaky, half way place; the middle ground of the Holy Place where “winds of doctrines” can really fly around, to use illustrations from Moses’ Tabernacle. Here, the waters of the sea are troubled and the people tossed to and fro, as James described. BUT…..When you comes to understand the true gospel, you now enter THE SECRET PLACE OF THE MOST HIGH where there is peace and safety. This is the Holy of Holies. Here you are surrounded by the pure gold of divine righteousness. 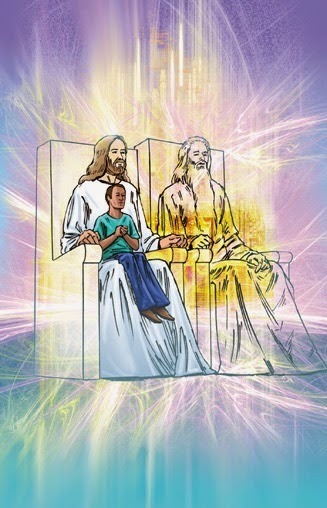 The elders are SEATED before the throne of God beside the CRYSTAL (not liquid) sea. There is no tossing to and fro here, as in the Holy Place in between the outer court of bronze (a picture of judgment and judgmentalism) and the inner court of God, His throne room. Here you can be at rest, not worried or stressed, as Jesus fights your battles for you! You don’t fight FOR victory; you fight FROM a position OF VICTORY. The battle has already been won by our Savior, JESUS!!! It’s the only way to truly win! 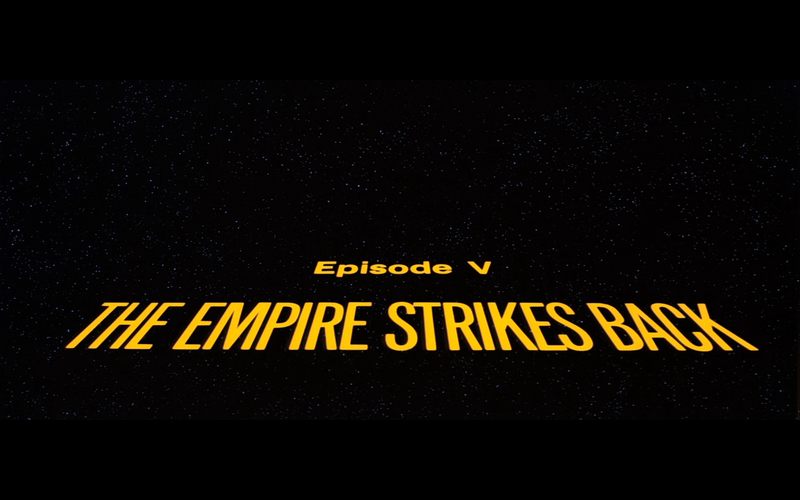 …..and that, Church, is how The Empire of God Strikes Back!